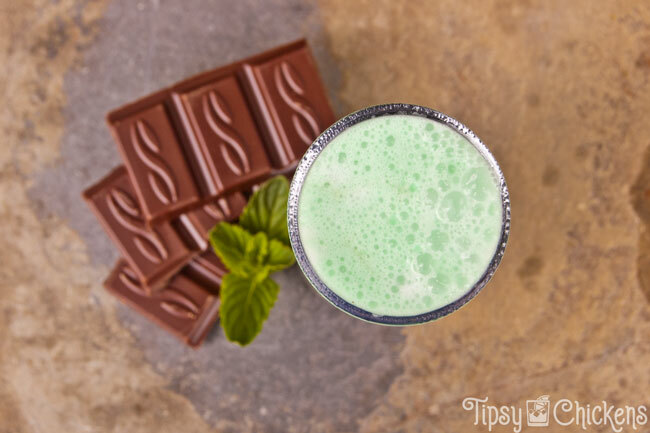 Chocolate and mint were meant to be together. In this recipe for Layered Grasshopper Shots you’ve got the perfect combo of each. Layering looks fancy but it’s really easy, all you need is a spoon. 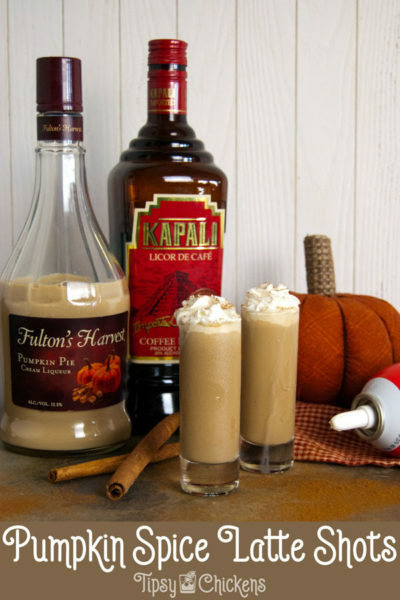 If you are using narrow shot glasses like these a bar spoon is perfect. Layering works based on the density of the ingredients. Denser ingredients sink to the bottom while the lighter ones stay on top. Dark Creme de Cocoa is slightly denser than Creme de Menthe but if you pour slowly you should get a good clean division line. The Layered Grasshopper Shot is very clearly based on a traditional grasshopper. I decided to swap out the white (clear) Creme de Cocoa for the dark to make a pretty layered shot. 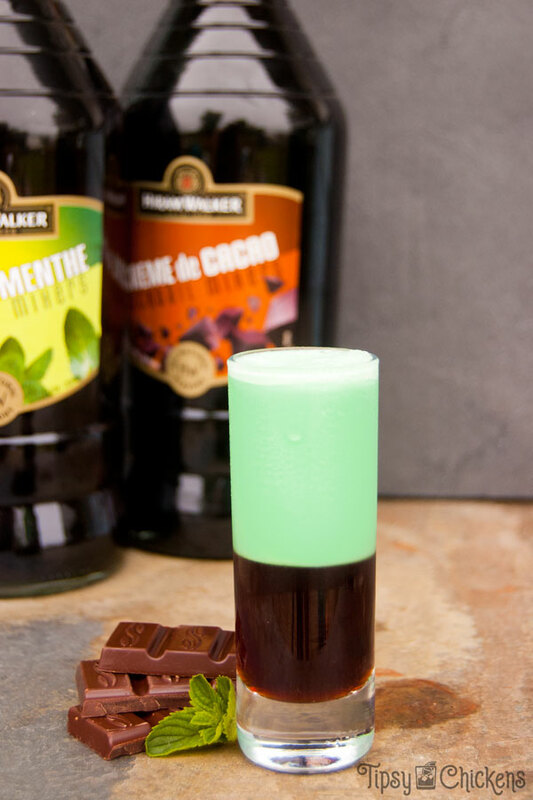 Measure the dark Creme de Menthe into the shotglass, taking care to keep it off the sides. Then it’s on to the fun! I didn’t feel like finding my cocktail shaker so I made this in a mason jar with a plastic screw top lid. 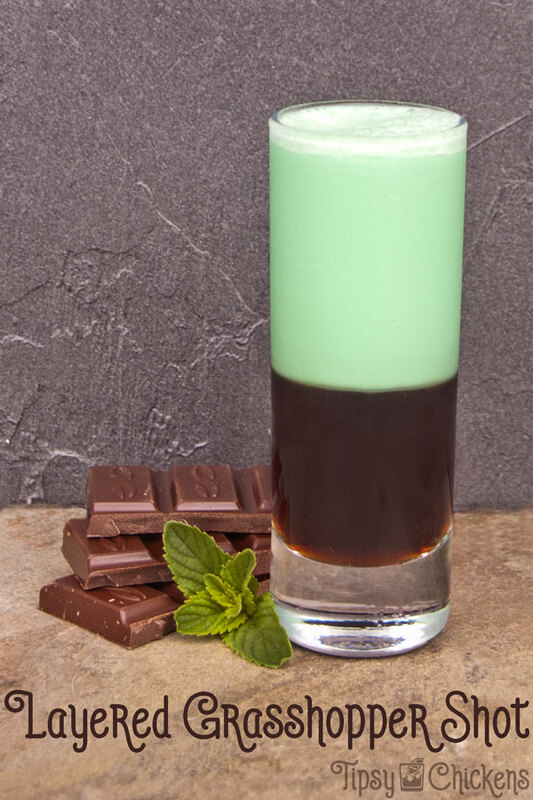 Throw in a handful of ice, the heavy cream and the creme de menthe. It’s much easier to use a cocktail shaker with a strainer, you won’t get any ice shards in the shot glass. 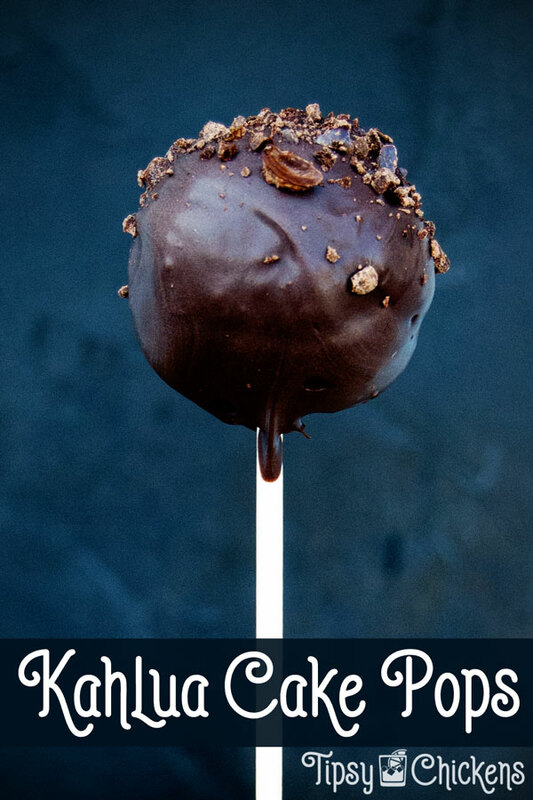 Whatever you decide to use give it a few quick shakes and slowly pour over the back of a bar spoon. 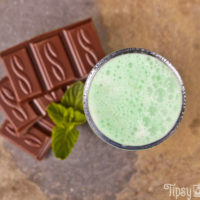 Drink it in one gulp, you get a slightly sweet and very minty flavor with a burst of chocolate at the end. Don’t forget to PIN this to your Drinks board!